Cecilia joined Tencent in 2014, and worked in Corporate & Development Group (CDG). She was mainly responsible for the strategic planning of Weixin Group (WXG) and the partnership with JD.com. 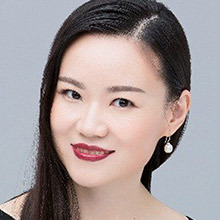 In February 2018, she was promoted to Vice General Manager of Tencent Smart Retail and has been overseeing the design and implementation of industry solutions.